Black seed oil has remarkably beneficial qualities, which were already appreciated by Egyptians and because of that it was called “Pharaoh’s gold”. Black seed oil is outstanding due to the high amount of unsaturated fatty acids (including 58% of omega 6 acid) and it also has up to 15 amino acids. 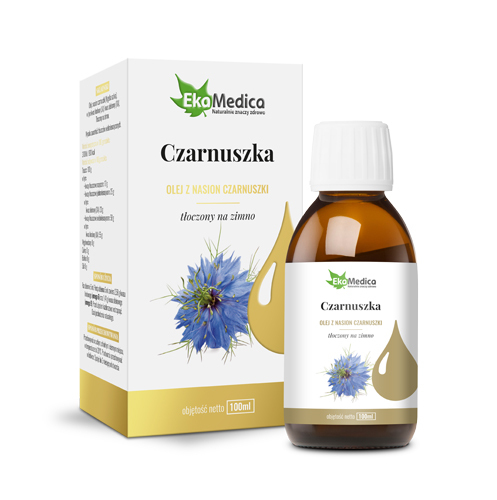 It consist of linolenic acid, vitamins E and K as well as phytosterols. Consuming black seed oil impacts positively digestive system, respiratory organs, circulatory system and functioning of kidneys. It lowers bacteria survival rate. It impacts skin condition and thanks to the content of vitamin E it helps in protecting organism from oxidative stress.